The article predicted that outsourcing would continue to rise as facilities looked to reduce costs. Commercial offices still predominantly outsource cleaning (more than 80 percent according to IFMA studies), but we are also seeing significant increases in outsourcing from traditional in-house markets, including K-12 schools and healthcare facilities. According to a 2012 Housekeeping Solutions study, 25 percent of in-house staffs have been threatened by outsourcing. Three years ago, that number was only 14 percent. One hurdle to outsourcing mentioned in the 2003 article was that many in-house janitors would be losing access to healthcare insurance and that the government would need to step in to prevent a crisis. Last year’s Supreme Court ruling on the Patient Protection Affordable Care Act (PPACA) makes that prediction a reality. Ten years ago we predicted that immigrants would continue to flock to this industry and curbing immigration would lead to a worker shortage. Studies indicate that more than 15 percent of illegal immigrants work in the janitorial industry today. Immigration legislation has failed in the past, but in January, President Obama promised reform that would allow a majority of these immigrants to stay in the United States — and remain employed. Finally, the article discussed automation. Recognizing advances in technology, we said BSCs would be more productive because they could fine-tune services to specific facility needs. Today, with smartphones and tablets, facility managers can use inspection software to quickly communicate problems to their contractors. 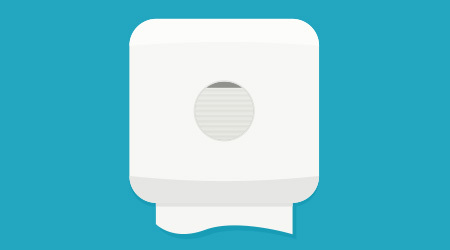 In addition, I’ve heard of installing QR codes in restrooms so building occupants can notify cleaning staff when paper or soap dispensers are empty.